The U.S. Army Corps of Engineers will begin opening a historic flood control structure near New Orleans this week to divert water from a rain-swollen Mississippi River. Col. Michael Clancy, the Corps’ district engineer in New Orleans, says heavy rains in the Mississippi Valley led to the decision to open the Bonnet Carre (BAHN’-eh CARE’-ee) Spillway, upriver from New Orleans. The spillway will be opened in anticipation of the river reaching a rate of 1.25 million cubic feet per second at New Orleans. The spillway diverts some of the flow from the river into Lake Pontchartrain, easing pressure on the levees that protect New Orleans. This will mark the 13th opening of the spillway since it was completed in 1931 — and the first time it’s been opened in consecutive years. Mississippi officials say flooding and tornadoes have damaged more than 500 buildings and 200 roads and bridges over the last week. The Mississippi Emergency Management Agency said Monday that preliminary reports show nearly 500 homes and more than 30 businesses have been damaged. The agency says numbers could change as flooding continues and reports are finalized. 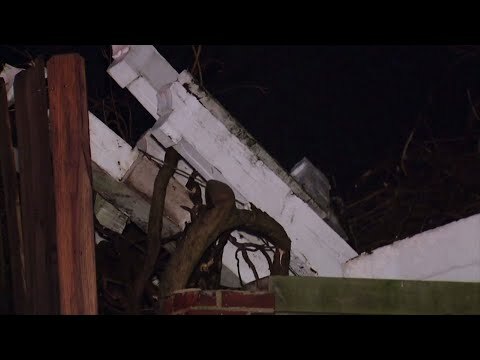 National Weather Service surveyors have confirmed at least five tornadoes in Mississippi on Saturday, including one that killed a woman in Columbus, injured 19 other people and damaged more than 150 homes and businesses. Damage has been reported in 36 of the state’s 82 counties. Beyond Columbus, the heaviest damage so far has been reported in Calhoun, Clay, Lee and Tallahatchie counties. A handful of state and federal highways remained closed by flooding in Mississippi on Monday. Two Alabama towns are imposing curfews because of flooding caused by days of rain that drenched the Southeast. City officials are ordering people off the roads overnight in the city of Leesburg, where multiple roads are covered by water. The town of Cedar Bluff previously imposed a similar curfew. Both cities are located northeast of Birmingham in Cherokee County, where property around Weiss Lake has been inundated by floodwaters. Campers and mobile homes in the area are lying on their sides in muddy water. Tennessee Gov. Bill Lee won’t be visiting the damage caused throughout the state by recent storm activity over the weekend, but instead plans on remaining in close communication with emergency officials to monitor the situation. Lee’s spokeswoman Laine Arnold said the governor planned to meet with cabinet members Monday to review ongoing issues connected to the heavy rainfall. Arnold says the flooding wasn’t as extensive or widespread as initially feared and added that the governor’s office feels the more prudent decision would be to let local resources focus on repairs without distractions. However, the Tennessee Emergency Management Agency and the governor’s office will continue to keep an eye out as rivers and other bodies of water still have the potential to flood over the next few days. Days of storms dumped more than a foot of rain on the Southeast.